Chuao is a small coastal village in Aragua,Venezuela, with a large reputation in the chocolate world. The coastal town has scenic mountains and beaches; and the "sea-locked" Aragua valley that extends back from the Caribbean Sea is known for its cacao plantation(s) and reputation for excellent Criollo cacao beans. 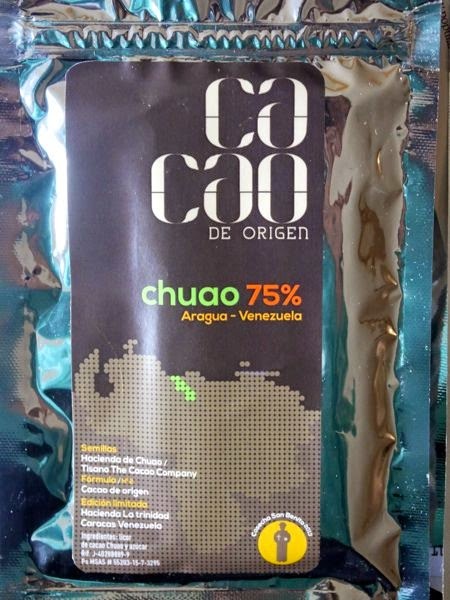 Today's Cacao de Origen Chuao 75% single origin bar was made using cacao beans from Hacienda de Chuao/"Tisano The Cacao Company." This limited edition bar was produced in/by Hacienda La trinidad (Caracas, Venezuela). 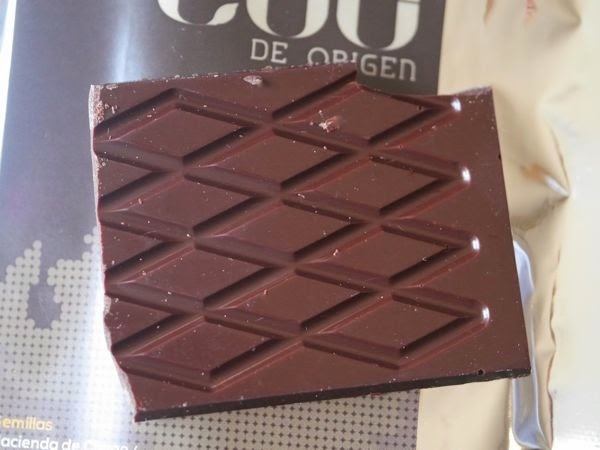 This Chuao bar stood out from other Venezuela bars this week; it had a much brighter, citrus fruit flavor profile from the first bite. Like yesterday's Cacao de Origen Agua Fria dark bar (from the state of Sucre), this Chuao bar was made with just cacao beans and sugar. Nothing else. So, the flavors shone through more clearly, for better or for worse. (In this case, better.) There were no additives, emulsifiers or extra sweeteners to hide behind.